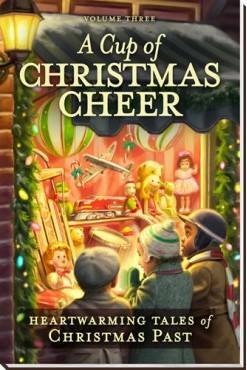 A Cup of Christmas Cheer is a collection of original fiction written just for Guideposts readers to make your Christmas merry and bright. Take a short break from your holiday planning and escape into an uplifting adventure. Everything you love in heartwarming Christmas fiction is in A Cup of Christmas Cheer — faith-based plots, captivating writing, lovable characters and hopeful endings that warm you from head to toe. You’ll love the way these stories whisk you away and how each has a heartwarming Christmas message of redemption, forgiveness, hope, and faith. If you’ve read my Colorado series, The Sinclair Sisters of Cripple Creek, here’s a chance to return to the late 1890s and to Cripple Creek in The Family Quilt, A Cup of Christmas Cheer novella.